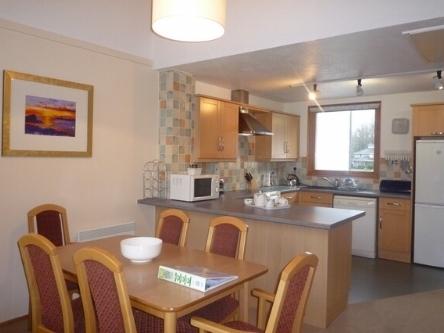 17 Keswick Bridge is a riverside lodge a short walk from Keswick town centre of Keswick in the Lake District National Park. 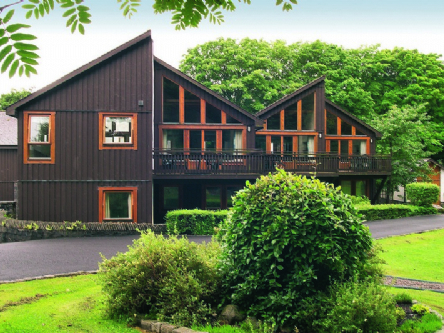 The lodge can sleep four people in two ground floor bedrooms comprising of one double with en-suite bathroom and one twin bedroom and a family bathroom with shower, basin and WC. First floor open plan living area with kitchen, dining area and sitting area with pull-down double bed and balcony. Electric heaters. Electric cooker, microwave, fridge/freezer, shared utility with washing machine and tumble dryer, dishwasher, TV with Freeview, WiFi. Bed linen and towels inc. in rent. Parking on-site for 2 cars. Balcony. Shared grounds with children's play area, river and woodland. Sorry, no pets and no smoking. Shop and pub 5 mins walk. Note: Due to balcony in property and river in grounds, children must be supervised at all times. Note: Check-in 4pm. Please note fuel and power are chargeable on departure.